Join us for a 3-Day Tweet Chat on August 5 – All About Packing! The very first Susan G. Komen 3-Day® of the year is rapidly approaching, and we’d love to hang out with you on Twitter and chat about packing. What should you bring to the Komen 3-Day? What should you leave at home? Seasoned 3-Day walkers know there are a few secrets to success for packing (like the magic of Ziploc bags! ), so let’s share our best tips and strategies for packing your gear (and sticking within that 35-pound limit). Sign on to Twitter at 6:00 p.m. PDT (or a few minutes before). You can also use the website com. Sign in, enter the hashtag #The3Day, and you’ll be able to watch and tweet in real-time with us. We’ll ask some questions to get things started, and we will also share tips and tricks from 3-Day veterans and coaches. This will be a great way to meet your fellow 3-Day participants, ask your questions, and motivate yourself to keep your training on track. Our 3-Day Social Media Team, Alyssa and Erin, can’t wait to tweet with you! It’s free and easy to join at com. 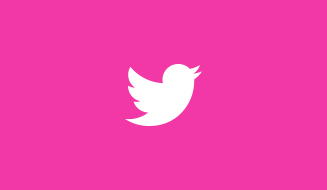 If you can’t make this Tweet Chat, you can always search #The3Day on Twitter to see all of the tweets that came from this Tweet Chat. Do you have any questions? Ask here, and remember, the 3-Day coaches are only a phone call away at 800-996-3DAY!